sonnen (sic) has announced it is participating in the EU project NEMoGrid. Various companies and research institutes – from Germany, Switzerland and Sweden – are taking part in testing the future energy trade between individual households via blockchain. Participation is consistent with sonnen’s continued promotion of blockchain technology in the energy sector. and as part of its efforts is participating in the EU NEMoGrid project. “The goal of energy supply must be to generate as much clean energy as possible right where it is being consumed. 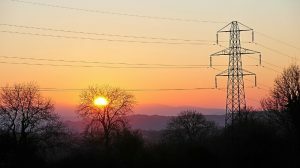 If households can sell their own power to their neighbours, this influences local electricity prices and the power grid. Ideally, people would trade in energy and at the same time stabilise the local grids, thus avoiding expensive grid interventions whenever possible. 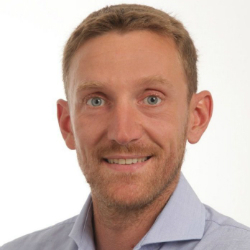 Blockchain is the right decentralised technology to control such a self-balancing system in real time”, says Jean-Baptiste Cornefert, Managing Director of sonnen eServices. The NEMoGrid project examines the economic and technical impact of electricity trade between households within a region, for example when selling their self-generated solar power to other households. One objective is to find out what impact different electricity tariffs at different times, or direct peer-to-peer trades, have on electricity costs. In addition, it intends to assess the impact on the stability of local distribution grids. To this end, different scenarios will simulate how, for example, direct trade in a given region impacts electricity prices. The most promising scenarios will undergo testing in practice across regions in Switzerland and Sweden. The project will thus provide insight into how flexible electricity prices and grid stability can best combine at the local level. The findings can then transfer to larger regions. An energy storage facility, for example, would enable the cheap storage of energy during times of high output and thus lower prices. At the same time, this would ease the burden on the grid. The power would then be available during times of high demand and high prices. These flexible prices would thus also have a stabilising effect on the grid. The advantage of using blockchain technology is that both the households and the distribution grid operators have transparency with regards to every kilowatt hour traded between participants. At the same time, transactions are transparent: there are no additional costs for electricity trading. test the models in simulation and validate them in three pilot projects across Europe. peer-to-peer market based on the Ethereum blockchain for energy transactions. The energy system of the future looks as if decentralisation will matter as much as its renewable energy base. This will likely require new business models, which will provide challenges for existing (and new) grid operators. If households or small, private producers generate (and potentially store, via systems like the sonnenBatterie or Tesla’s Powerwall), this will impact not only distribution grids but also how energy is bought and sold. While the project aims to optimise grid stability, it will also test blockchain technology as a means to handle transactions and provide transparency to both generators and their consumers. Just as with trade finance, supply chains and food safety, energy looks as if it will be at the forefront of blockchain adoption. Examples like Energo+Qtum or the SolarCoin blockchain, as well as NEMoGrid, are additional examples of what is in the pipeline. Nivaura blockchain to raise money?